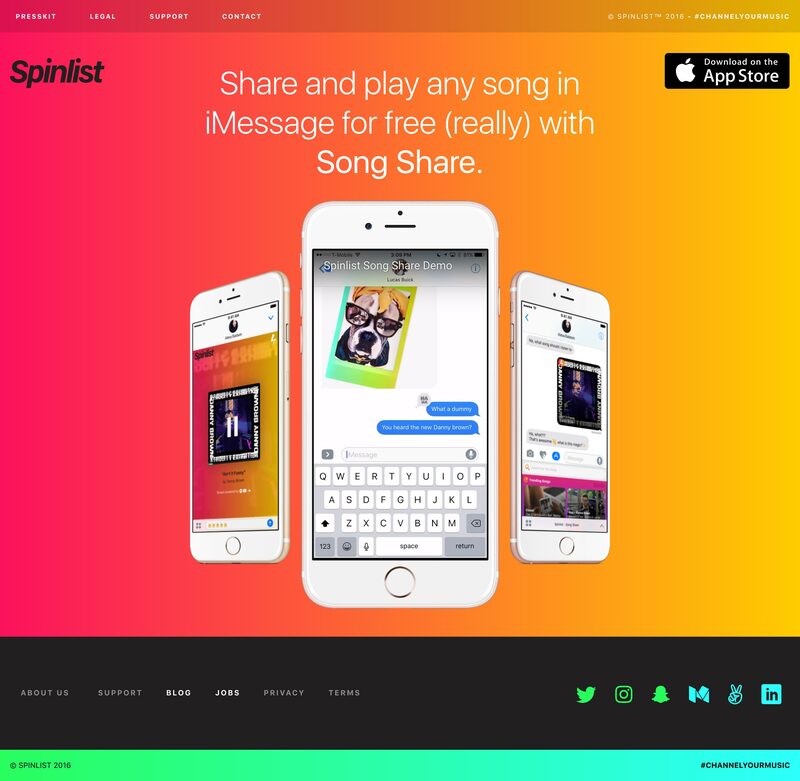 Colorful Landing Page promoting ‘Spinlist SongShare’ that allows you to share/play any song in iMessage for free. Very cool video demo within the centre device. We are really excited to introduce Spinlist SongShare. It’s a really fast and easy way to find a song and share it with someone. That’s it. No accounts required. No sharing files. Just simple sharing of songs. I wrote a little medium piece on the frustrations that led to building this tool here.